As many as 500 million customers – or roughly 10% of the adult population of the world – may have had data stolen in a massive hack attack, the biggest data breach ever suffered by a travel industry entity. 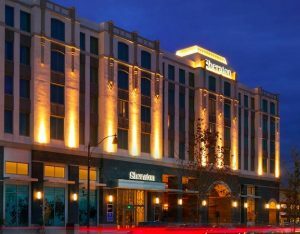 The attack, directed at the Marriott hotel chain’s Starwood brands, affects customers who made a reservation at a Starwood hotel. Details of some payment cards are among data stolen. Does this include access to passwords? Marriott cannot rule it out. 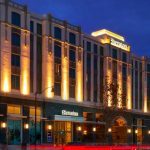 In September 2016, Marriott acquired the Starwood hospitality group, which operates the Sheraton, Westin, Aloft, and W Hotels brands, among others. The intrusion that caused the enormous data breach predates Marriott’s acquisition, beginning in 2014. Marriott says its own digital systems were not affected, only the Starwood side. Experts consulted by technology and culture magazine WIRED.com at the weekend said the cyber attackers appear to have had four years of access to the Starwood system, making the breach potentially far more serious than a simple one-off intrusion. “Four years is an eternity,” one expert said. WIRED.com advises that anyone who has stayed at a Starwood Preferred Guest (“SPG”) hotel in the past few years should enrol in the free monitoring, change their SPG password – and do so on any other account where they might have reused it – and monitor their finances for suspicious activity. The only bigger data breach in history was against Yahoo in 2013. One difference is that hotel customers usually register credit cards at the front desk while users of Yahoo do not. So what has been stolen? “The company has not finished identifying duplicate information in the database, but believes it contains information on up to approximately 500 million guests who made a reservation at a Starwood property. For approximately 327 million of these guests, the information includes some combination of name, mailing address, phone number, email address, passport number, Starwood Preferred Guest (“SPG”) account information, date of birth, gender, arrival and departure information, reservation date, and communication preferences. For some, the information also includes payment card numbers and payment card expiration dates, but the payment card numbers were encrypted using Advanced Encryption Standard encryption (AES-128). One threat is identity theft. Criminals can use combinations of name, mailing address, phone number, email address, passport number and so on to impersonate people online, or to open bank accounts in their names. Then there’s the credit card aspect. Marriott did not provide an initial estimate of how many credit card numbers were taken. It is currently notifying affected customers by email. Marriott has reported the breach to police (New York Attorney General Barbara Underwood has announced an investigation) and it continues to support the investigation.